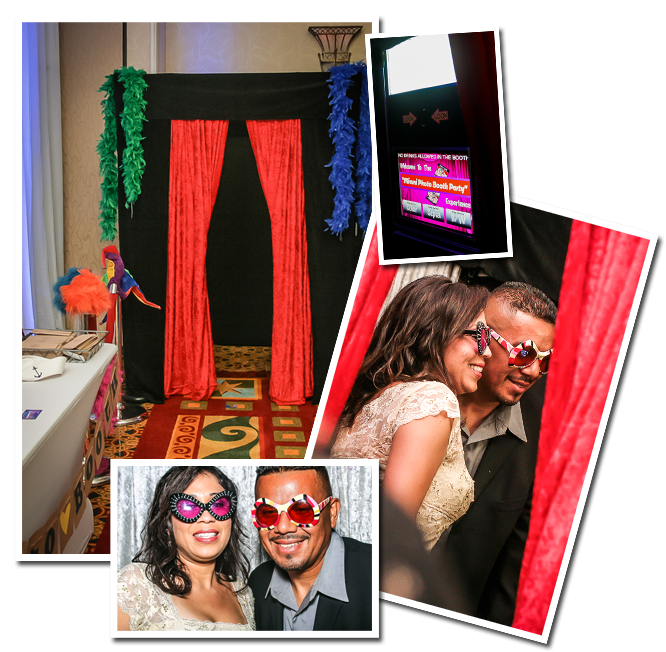 The Party Lounge photo booth is a great selection for an elegant indoor event. It has an all-black velour exterior and red curtain entrance. It’s 5ft x 5ft large interior can accommodate up to 10 people, but can also be adjusted for smaller groups. This beautiful model requires a minimum space of 8ft by 8ft.